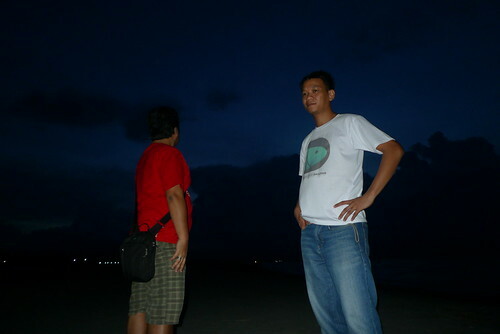 Lingayen Gulf or Beach is one of the tourist attractions in Lingayen, the Capital of Pangasinan. 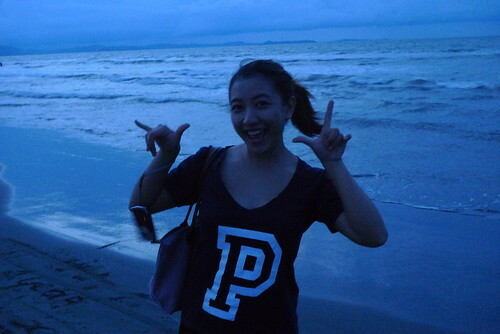 A few month ago, i blogged about our lazy afternoon siesta in the area. 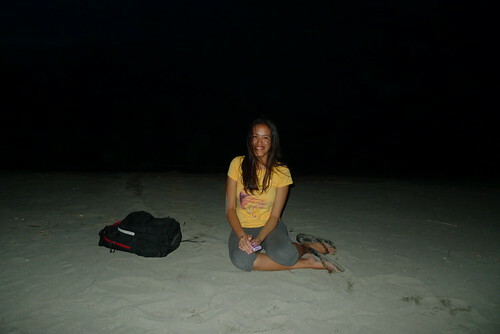 It is one of the beach areas where you can just sit down, relax and rest. I can’t blame you if you would bring banig the next time you visit the place since I am thinking of doing just that LOL. Right after our short trip to Lyceum-Northwestern University my alma mater, we drove for 20-30 minutes to reach Lingayen. Since it is Don, Fitz and Hannah’s first time to visit Pangasinan, they were amazed with the road scenery while driving. You can see fish ponds, furniture shops and other interesting spots along the way. Simon entertained the group with random facts about the owners of the fish ponds. I want to buy my own fish pond and be a millionaire hehe. 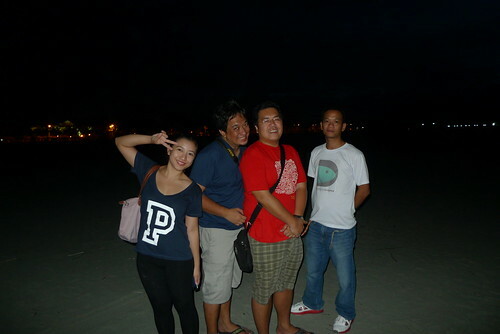 We arrived at the Lingayen Beachfront at 5:30PM – it’s almost night time! That didn’t stop us from staying in the area. 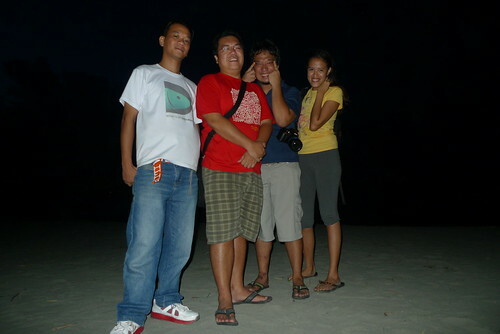 In fact, we took some kulit shots. There are more fun shots from Fitz, Don, Hannah and Simon’s camera. Will upload this post with more pictures soon. 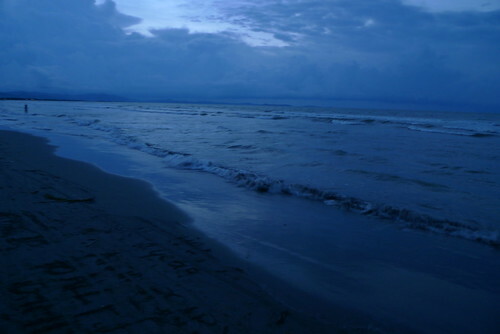 I first swam in Lingayen Beach when I was seven years old. A lot of people deprived me to swim there because there is an ongoing cycle of death there every year. According to the legend, the sea is capturing young kids every year as a ‘sacrifice’. Is that for real? I don’t really know. I guess it’s better to be safe than sorry. We were discussing about Cheap Holiday Offers by several group buying and travel websites. Like what I mentioned in some of my previous posts, i am open to both group and solo travels. So far, I already have two plane tickets for next year and those are solo trips. It’s my chance to meet other travel bloggers too! We also discussed about the possibility of exploring other parts of Pangasinan soon. My beloved province is full of beautiful yet less-known tourist spots. saya tignan jan, natawa ako sa budget backpacker pose mo. Feeling ko mage-enjoy ka dyan, Ed. Madaling mag-headstand dyan hehe pino yung sand kahit na hindi siya white. Lol at the budget backpacker! 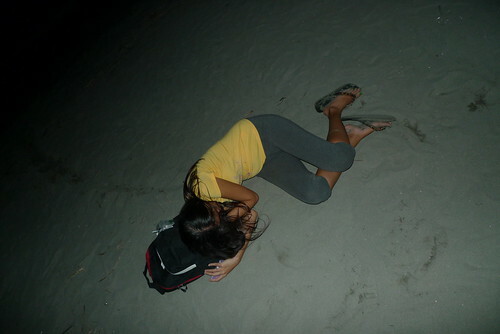 I heard of the stories too that Lingayen Beach yearly kills a child… true pla tlga un..
Yup, totoo siya. May times na medyo wild yung waves dun. Paano ba pumunta dito? Gaano kalayo from Manila?